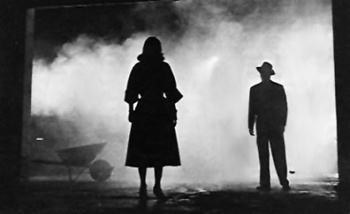 Take Our Film Noir Quiz! Take a time out from playing L.A. Noire to see how much you know about classic film noir. Everyone is buzzing about Rockstar's detective game that takes place in 1940's Los Angeles, a prime locale for the noir style of film. Movies in the noir genre are gritty affairs, showcasing the worst in people - love affairs gone wrong, betrayal, lies, and more than a few murders. The events of L.A. Noire fit that mold quite well, but let's see how much you know about the movies that inspired the game. Just remember - never trust a dame, especially not one with legs that go all the way down to the floor.